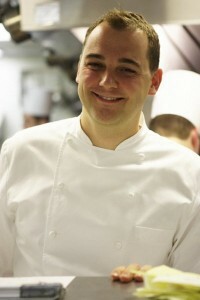 If you would like to learn more about Chef Daniel Humm's bio, click here. What advice do you give to your team and this next generation of young chefs? When I think about what it was like to be a young cook growing up there are always a few things I wish I could have known to help me along the journey and they’ve become a part of all our new hire meetings we hold at the restaurants. Especially in New York it’s important to have focus and to know that you don’t need to be okay at everything, but rather should aim to be great at one thing. Setting goals is also incredibly important because you need to work towards something, even when you’re just starting out. And most of all, I think patience is essential. The people that have done the best in our company are those that were patient, that took the time to perfect their tasks at hand, didn’t look to make many moves through their career, and remained patient throughout. What makes a young chef stand out in your kitchen? Passion is one of the most important things a chef needs and also one of the things you cannot teach. You can learn many skills in the kitchen, but if you don’t have passion then you’re probably not going to be a part of our team. Over the years I’ve learned to look for inspiration from outside our profession – at artists, architects, designers, musicians, etc. And I continue to look there to be inspired, whether it’s to draw ideas from them, dish concepts, or to just connect sensory memories or moments that can translate to what we do in the restaurants.